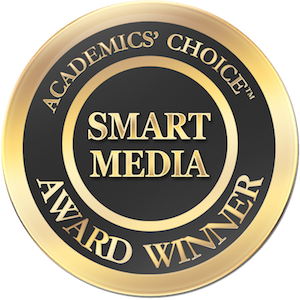 We’re happy to announce that Tales Untold has been honored with the 2016 Academics’ Choice Award for Smart Media. The independent Academics’ Choice Awards program is recognized worldwide by consumers and educational institutions as a mark of genuinely effective learning tools that stimulate the mind. Tales Untold was recognized for our use of technology to deliver a storytelling experience that exercises the imagination and encourages brain and language development, while reducing screen time. At Tales Untold, we’re dedicated to providing a healthy and brain-stimulating alternative to videos, games and other screen-focused content. It’s always nice to be recognized for our efforts in encouraging the development of young minds.